The Renssealer County Clerk’s office and the Troy Irish Genealogical Society (TIGS) have joined forces to put more than 30,000 early 20th century marriage records online. The Marriage Index Automation took five years to complete. The online records include a 10-volume set of indexes to marriages in Rensselaer County between 1908 and 1935. 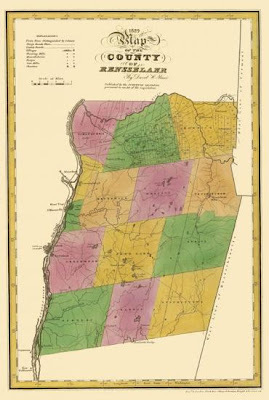 The records, which cover every person married in Rensselaer County, not just those with Irish surnames, are available online through the TIGS website. Rennselaer County Clerk Frank J. Merola lauded the efforts of TIGS members in bringing the project to fruition, including former TIGS president Donna Vaughn, current president Kristin Cooney Ayotte, project coordinator Bill McGrath and webmaster and librarian Jeanne Keefe. “I am very pleased to have been involved in this partnership with TIGS, and I commend them on taking the time and effort to open our historical records to the widest audience possible,” Merola told the Troy Record newspaper. he was reported to have said. Seek contact with John Warren. Would like to reprint article re 30,000 Rensselaer Marriages in the New York Researcher. Please do include some info about New York Researcher. I’d like to feature the publication here as well.